Rapid contact action, natural control of greenfly & many other leaf pests. Apply to all fruit, flowers & vegetables. Food crops can be harvested the same day! For use between March & October. Doff’s All In One Bug Spray has rapid contact action, for the control of greenfly and many other leaf pests. The ready-to-use fomula is supplied in a convenient trigger spray pack. Apply to all fruit, flowers and vegetables. Contains Cypermethrin.Apply: March to October.Size: 1 litre. 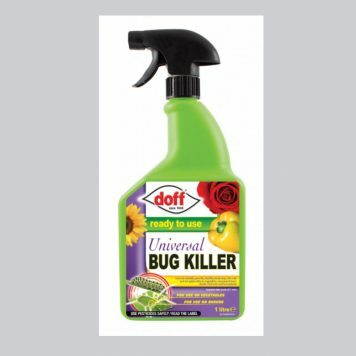 Doff Portland Limited is an independent, family-owned business, founded in 1946. 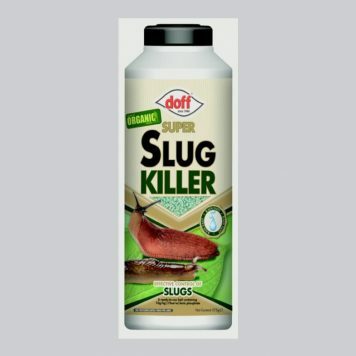 They are the UK’s largest independent manufacturer of insecticides, weedkillers and garden care products.